Experienced journalist, analyst, writer, lecturer and tour leader, based in Tokyo. Helping Danes understand, experience and cooperate with Japan and Asia in various ways. I am an experienced Danish journalist, analyst, writer, lecturer and tour leader. I am based in Tokyo most of the time. 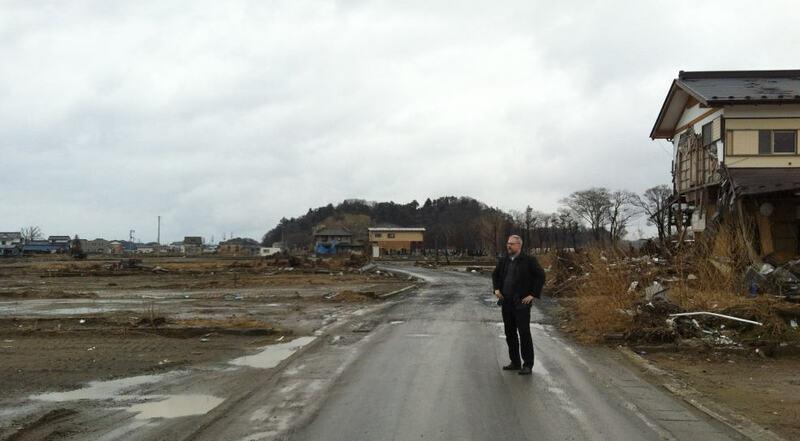 I have been following developments in Japan and East Asia for 40 years. From 1989 to 1995 I was Tokyo correspondent for the daily newspaper Politiken, the Danish Broadcasting Corporation’s radio news and a number of other Scandinavian news media. Since then I have had various editor’s jobs at the newspaper Aktuelt, the leading Danish news agency Ritzau and Danish Broadcasting Corporation (DR). Between 2006 and 2013, I edited online front pages of dr.dk, the DR webpage. Since November 2013, I have returned to Tokyo as reporter and analyst for a number of Danish news media. I have been Asia correspondent for Kristeligt Dagblad, a Christian daily, but since July 2017 I have worked as Japan and Korea correspondent for Weekendavisen, a very well-respected weekly newspaper. I also write columns and other kind of articles for the POV International webpage. In recent years, I have published several books in Danish. “Seikatsu” (2017) is a collection of columns about everyday life in Japan, and “Undskyld paa japansk” (2017) is about current Japan’s handling of its war history. In 2019, two books will be published, one about the Emperor and the Imperial System (april), and another one about Tokyo as a city (august). I have my own small one-man company called asgerrojle. Besides traditional journalism, I am giving many public presentations about Japan in Denmark, organizing study trips to Japan and serving as tour leader for various groups of Danes visiting Japan for study as well as tourism. This website, www.asgerrojle.com, is designed to provide its readers with an overview of current news from Japan and East Asia – as well as an idea of ​​how I would be able to contribute to the coverage of these developments. It is primarily written in Danish. Besides that, I am also running www.forkant.nu, a newsletter which analyzes current event in Japan and East Asia in short form. Since 2010, I have been senior fellow at NIAS, Nordic Institute of Asian Studies. A few years ago, I was interviewed by No.1 Shimbun, the magazine of Foreign Correspondents’ Club of Japan. The interview gives a well-written and comprehensive overview of my career and recent acitivities. you can read the interview here.